The media is generating a great deal of noise around the US labor markets and it's worth going through some key facts, issues and trends. Let's do it in a Q&A format for clarity. Q: What's the deal with Friday's unexpectedly poor payrolls report? A: Friday’s payrolls report was clearly a disappointment - far below expectations. However some have attributed the weakness (at least in part) to notoriously unreliable August seasonal adjustments as well as to the New England’s Market Basket labor mess. If that’s indeed the case, we should see this reverse in September. WSJ: - A management fight and worker revolt at a New England grocery store chain helped drag down U.S. payrolls during the month of August, the Labor Department said Friday. Though it’s not named in the closely watched jobs report, the company almost certainly is Tewksbury, Mass.-based Market Basket, a family-owned chain that operates 71 stores across Massachusetts and New Hampshire. 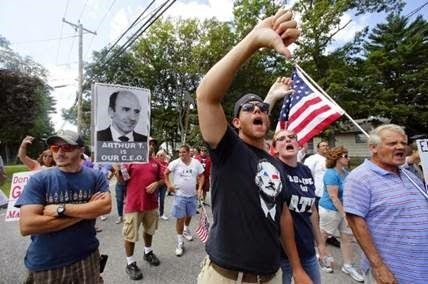 The June dismissal of popular chief executive Arthur T. Demoulas, amid a long-running battle with his cousin Arthur S. Demoulas, led to weeks of turmoil as workers demanded his return, a battle covered in detail by the Boston Globe. At one point in August, thousands of part-time workers had their hours cut, some to zero. 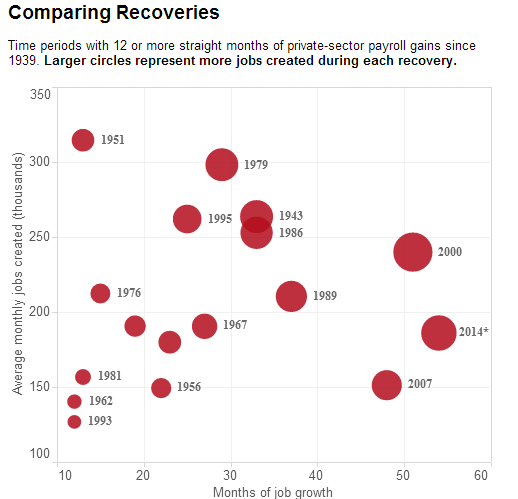 Q: How is the jobs recovery going on a longer time scale? A: The current labor market recovery is the longest on record but clearly not the strongest. Given the latest trends in job openings (see chart), the labor markets improvements are likely to continue, albeit slower than in past recoveries. Under the circumstances that's a good outcome. Q. 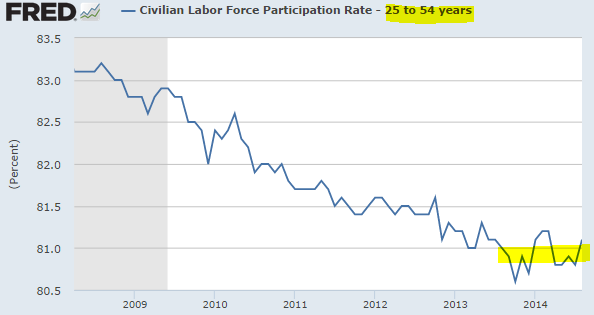 What's going on with falling labor force participation? A: US labor force participation for ages 25-54 has leveled off. This is the key index to watch for signs of stabilization in participation instead of the overall working-age population measure. 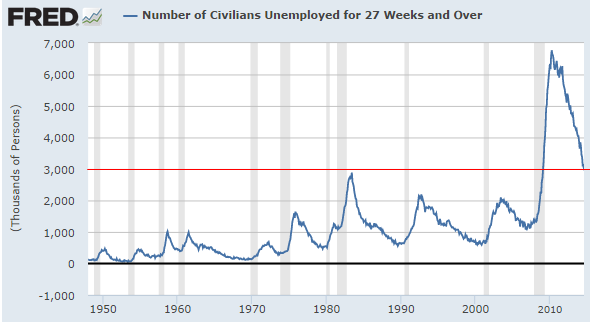 Q: Isn't long-term unemployment another major problem for US labor markets? A: The number of US long-term unemployed is falling quickly but is still higher than at any time prior to the Great Recession. This tells us that the healing process has ways to go. 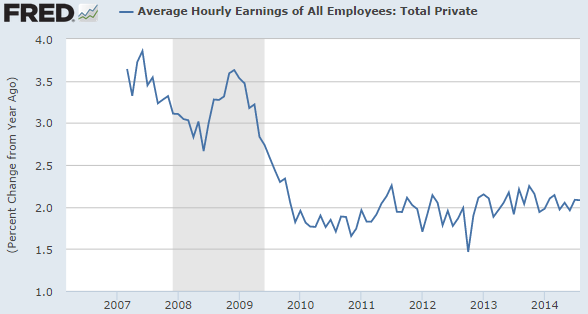 Q: Are wages stagnating in the US? A: US wage growth remains anchored at 2% per year - with remarkable stability. Of course as discussed before, wages for many skilled workers are rising much faster than 2% while pay for unskilled labor continues to stagnate or is even declining. Q: Where are the jobs coming from? 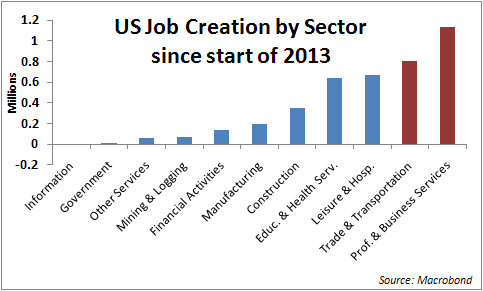 A: Here are the latest job creation numbers by sector. One final note. Comparing current labor markets to 2006 or similar periods (such as this chart on temp labor) is not always a productive exercise. It assumes that in 2006 things were somehow “normal” and the period can be used as a benchmark for the current situation. It could however be argued that the current environment is closer to “normal” because 2006 was an aberration driven by the credit/real-estate bubble. As much as some miss those good old days, we are unlikely to see such an environment return in the near future.